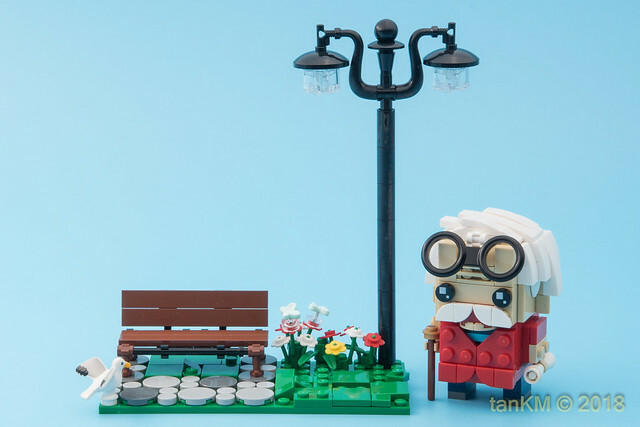 Having recently joined the half century club, I can sort of relate to this MOC by builder tankm. Not that I'm using a cane yet, but I'm certainly not in the fresh flush of youth any more. According to the builder this is a future self portrait, and I think it's wonderful. We should all imagine ourselves enjoying beautiful places in the winter of our lives.